After 15 years of law enforcement, Corporal Ron Van Doorne is saying goodbye to the Dickinson PD. 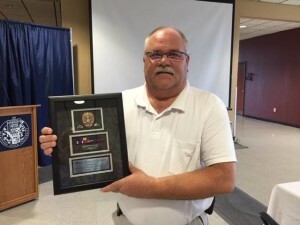 Ron is best known for his work as the School Resource Officer for Dickinson HS and Hagen Jr. HS. Ron is not leaving law enforcement. He is moving to the Stark County Sheriff’s Office to get their School Resource Officer position off the ground.